Delivers plastic manufacturing services using CNC machines and vacuum formers. Products can design and fabricate a wide array of plastic and acrylic products to meet the needs of grocery and retail businesses throughout America. 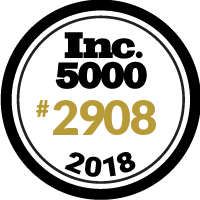 "Tomorrow is another day to create something that yesterday didn't think possible" We are unbelievably proud to join the Inc 5000 list.